Located directly across from Toronto Pearson International Airport this business centre provides fast and easy access to Highways 409 and 427 making the furnished executive suites, private offices and open-plan office space ideal for business travellers. There are three on-site restaurants and even an on-site dentist, providing all manner of professional services and facilities. The site is also easily accessible via numerous transport links. Boasting unparalleled access to Toronto International Airport and fabulous transport links to the Greater Metropolitan Toronto area, these gorgeous offices to lease are situated right at the centre of an impressive business community. All suites are wired with the latest technology for ultimate convenience. Ideally located just a few minutes’ away from all the amenities within the GTA, this center is the ideal working environment for any client. 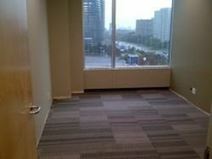 This freshly built contemporary business centre is ideally located in Mississauga next to fantastic transport links. Containing plush furnished suites, team areas, onsite parking, conference facilities and flexible layouts for convenience, it is the ideal choice for businesses of any size. Four major highways are only a couple of minutes’ away for quick travel within the GTA. The regional transport links are excellent and make the building easily accessible. A selection of offices is available to let in the prestigious Toronto/Mississauga business district, which hosts numerous international companies, shops, restaurants and amenities. These offices are provided with technologically equipped meeting rooms, state-of-the-art telecommunication facilities, lounge areas, parking facilities and professional and highly qualified staff offering first-class reception and support services. Less that 20 minutes from Toronto Pearson international airport and a wide range of other key locations and local sites of public interest, these furnished executive suites and open-plan office spaces are all available fully equipped and the business center location itself provides an ideal and impressive working environment in the heart of Mississauga just off Highway 401. The site is situated in a prestigious corporate location and benefits from excellent local transport links. Offering fully furnished executive suites and open-plan office space on convenient and flexible terms, this first-class business center establishment is located at the heart of Mississauga"s city center and surrounded by a range of bars, hotels, shops and restaurants. The local amenities and public services in the area are of the very highest standard and make things easy for occupants with everything available in close proximity to the site. This business centre consists of offices of various size, conference and meeting rooms and virtual office solutions to accommodate the needs of companies and entrepreneurs. These office spaces are provided with a full range of services and facilities, including reception and secretarial services to support your business. 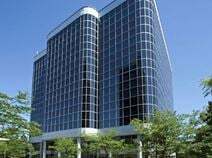 Centrally located in Mississauga and surrounded by companies, restaurants and a variety of amenities, this centre enjoys a stunning view of the surrounding areas. This center also has a 1000 sq. ft open patio on the third floor, which offers great potential for health and fitness professionals. This center offers free Internet, Wi-Fi, CCTV monitoring, Free parking, Kitchen with microwave and fridge, professional office cleaning, professional landscaping. Additionally, the building is wheelchair accessible, offering added value. It is located centrally in the heart of Mississauga. Recently built and beautifully presented, take advantage now of these modern and sophisticated suites. With Class A facilities readily available in addition to virtual office packages and full time secretarial support, these are some of the most desirable professional properties in Toronto. They are ideally located adjacent to Highways 301 and 427 taking just minutes’ to access the full range of conveniences the GTA has to offer. These contemporary executive suites are located in an architecturally striking building in Mississauga Market. An unsurpassed level of services, including the popular cyber café, is all onsite to meet all modern business requirements. Downtown Toronto, Toronto International Airport and all their local offerings are in close proximity to this prominent location. The local transport links are also excellent and make the building easily accessible. With a fantastic and unparalleled business location just next to Mississauga’s prestigious Square One Shopping Centre, all professional clients benefit from the sleek design and full offering of modern amenities in these spacious executive suites. Added benefits include covered parking and secured access. An impressive selection of fine dining, public transport and major highway links are only seconds away by foot. This well-established, contemporary business centre in Mississauga offers a range of flexible executive spaces for companies of any size. Underground parking, modern technology and onsite security provide a convenient, professional environment. Downtown Toronto and fantastic transport links are on the doorstep. The locality's tranbsportation services are excellent and highly convenient, making the center easily accessible. This centre is well pleased for an array of local amenities, including restaurants, cafes, shopping outlets and cinemas. There is also no shortage of on-site facilities, such as high-speed internet, underground parking, reception services with telephone answering and mail handling. An on-site fitness centre is available, and the space is accessible 24-hours a day. The local transport links are extremely convenient and make the building easily accessible. Recently renovated and revamped to an impressive professional standard, this high-end business centre in Mississauga’s renowned business park, these beautiful Class B executive suites are fully modernised to promote a streamlined workflow. They also benefit from free parking, onsite manager and close proximity to gourmet restaurants and retailers. Easily accessible from all major Toronto highways and the airport. This serviced office center offers breathtaking views, bright & spacious offices, elegant architecture and a great location in the center of a lively mixed-use district that is popular with numerous business occupants across numerous industries and commercial backgrounds. The area's local transport services are also excellent and easily connect the center itself to the wider region at large to make the site easily accessible.